Many visitors favor Galveston vacations because of the attractions, beaches, hotels, fishing adventures and cruises. There are many attraction sites and landmarks to satisfy all age groups. One of the best attractions is the Moody Gardens. Some visitors cherish the 32 mile long beach especially in spring and summer time. Others have different opinions about the beach. However the County makes every effort to take care of the beaches. 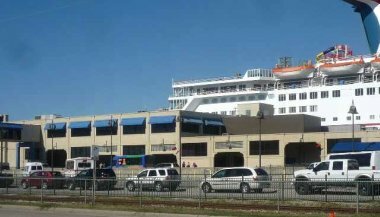 Galveston cruises also attract many visitors to the island. The city is one of the major cruises ports in America today. Two major cruise ships: The Carnival and the Royal Caribbean sail from the island to the western and eastern Caribbean Islands. Situated along the Gulf of Mexico, the 64 square mile island is about 60 miles from Houston. It emerged from the deadliest 1900 Hurricane disaster in USA's history to become a tourist hot spot with many hotels, condominiums and vacation rentals. There are nice hotels across the city. Many of them are along the Seawall. The seawall is a very popular attraction site for tourists. Many people stroll along the wall, ride bikes, jog and eat at the fancy restaurants. There are many other prominent vacation rentals as well as moderate Lodging places. The historic downtown area has many Victorian homes that survived the hurricane. Many of these are at the Strand shopping district. The Strand is a thriving shopping center with many excellent restaurants, over 100 shops, antique shops and art galleries. It's a place of interest for visitors. Fishing is a major sport on the island. Many fish from the coastline and the bay. Others are attracted to deep sea fishing. There is no special season for Galveston vacations here. Visitors come here in the mild winter or warmer summer time. However more people visit during spring and summer period. Galveston Hurricane of 1900 Disaster. The Galveston hurricane struck at a time when commerce was brisk in the city of Galveston Texas. Galveston map shows the Galveston county area, the island and roads connecting to it. Galveston Texas tourism and Things To Do In Galveston. The best of Galveston Texas tourism is yours. 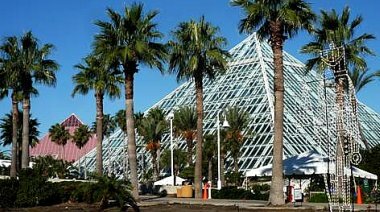 Exlpore Moody Gardens, Schlitterbahn, Strand district and other Galveston attractions all year long. Galveston Tourism Attraction: Seawolf Park. 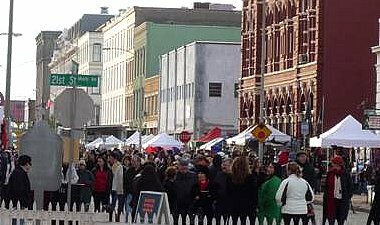 More and more Galveston tourism fun things to do and places to go in Galveston Texas. Galveston Beach:The Famous Stewart Beach Vacation. Stewart beach is the most popular Galveston beach for family fun like surfing, building sun castles, swimming and fishing in Galveston Texas. Galveston fishing report reveals the best time and places for the best Galveston fishing. Galveston Cruises: Carnival Cruise And Royal Caribbean. The best Galveston cruises - The Royal Caribbean Voyager of the Seas and Carnival Cruises from Galveston. Select the Top Galveston hotels of your choice and enjoy the best time in these Galveston vacation rentals. Look for best value Hotels in Galveston. Many adorable galveston hotels provide comfortable vacation for the best value. Galveston Texas Hotels: Quality Inn & Suites Beachfront. Quality Galveston Texas Hotels are simple with reasonable rates. Look for this kind of hotels in Galveston and get a good deal. Galveston Condos and Motels: The best Galveston Vacation rentals. Galveston Condos are the best surprises awaiting vacationers. Galveston lodging is easy for visitors. Galveston Beach House Rentals: For Best Best Vacation And Tourism. The Best Galveston Beach House Rentals can be found all along the 32 mile long Galveston beaches. Stay in Galveston vacation rentals like beachfront rentals, lakefront rentals and Galveston beach rentals on a visit to Galveston. The Galveston Dentist And Tourists Healthcare. Don't we sometimes need medical clinics or the Galveston dentist on our vacation tours?